Come join us and meet with professionals from Moelis & co. Hear about their experiences at the firm and ask any questions you may have, while also learning about opportunities available to you. Lunch will be provided. Located in T201. Come join us and meet with professionals from PJT Partners. Hear about their experiences at the firm and ask any questions you may have, while also learning about opportunities available to you. Lunch will be provided. Located in T201. Blackstone Tactical Opportunities will be coming in for an information session through a co-sponsorship with IAG and Finance Society. As always, food will be served. Located in KMC 1-70. Come join us to meet with professionals from JP Morgan as we co-host a networking event with Pride Corp. Hear about their experiences at the firm and ask any questions you may have, while also learning about opportunities available such as their Proud to Be program. Lunch will be provided. Located in UC19. As midterms wind down, come join us to learn how to play poker with other Finance Society members! For those who already know how to play, we’ll also have games set up in the back. Lunch and snacks will be provided. Located in T-201. As a part of our initiative to encourage women to explore and pursue finance careers, Finance Society is hosting its inaugural Women in Investment Banking Panel. Seniors from various clubs will speak about their experiences, share personal and professional advice, and discuss some of the challenges they have faced as women in finance. Both women and men are welcome to join us in what we hope will be an open, fun, and candid conversation. Attendees will have the opportunity to ask questions during the panel. Everyone is also welcome to submit and vote on questions now until the event via slido.com using the access code #V335. Located in KMEC 3-80. Hope everyone had an amazing Spring Break! Join us as we co-host a board game event with QFS – we’ll restart the semester with poker, Monopoly, and much more. Lunch will be provided! Located in T201. 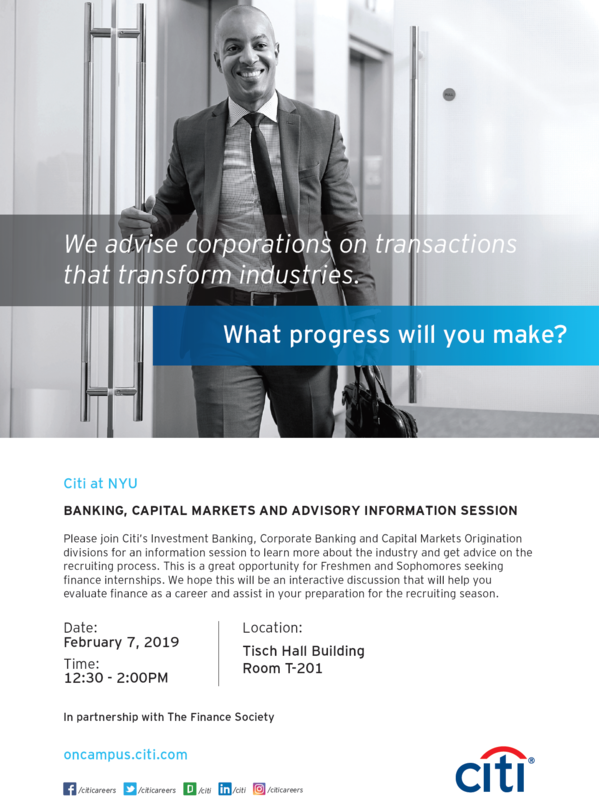 Come join us and meet with professionals from Goldman Sachs. Hear about their experiences at the firm and ask any questions you may have, while also learning about opportunities available to you. Lunch will be provided. Located in T201. Interested in running for Finance Society Executive Board positions? Come and learn more about the responsibilities of each role and hear our current E-Board members speak about their experiences! Election is open to all General Members. For more information, please come to our interest meeting. Located in UC21. Come join us to learn more about Greenhill & Co. from a panel of professionals who will share their experiences. This will be followed by Q&A and a networking session! Lunch will be provided. Located in T201. Come join us to learn more about Morgan Stanley from a panel of professionals who will share their experiences. This will be followed by Q&A and a networking session! Lunch will be provided. Located in T201. Come join us to learn more about Guggenheim Partners and to hear about the potential opportunities that the firm offers from a panel of professionals. This will be followed by Q&A and a networking session! Lunch will be provided. Located in T201. Do you have any questions about recruiting? Lingering thoughts on investment banking? Join us to meet some of our superstar seniors for tips and advice on navigating the recruiting process and securing that summer internship! Lunch will be provided. Located in T201. Join us as we give an overview of our semester and events. We will also go over executive committee applications (due 2/7), so take this opportunity to ask any questions and speak with current board and executive committee members. Lunch will be provided. Located in T201.